Among the 11,000 artifacts collected as part of this study include ochre and reflective paint substances, as well as the oldest unbroken ground-edge stone axes in the world, by about 20,000 years, and the oldest known seed-grinding tools in Australia. Although there was some evidence that the artifacts could have shifted around over the years, dating methods gave a 95 percent chance that the uncovered artifacts were older than 70,000 years. Madjedbebe site custodian May Nango and excavation leader Chris Clarkson in the pit. (Dominic O'Brien/Gundjeihmi Aboriginal Corporation). 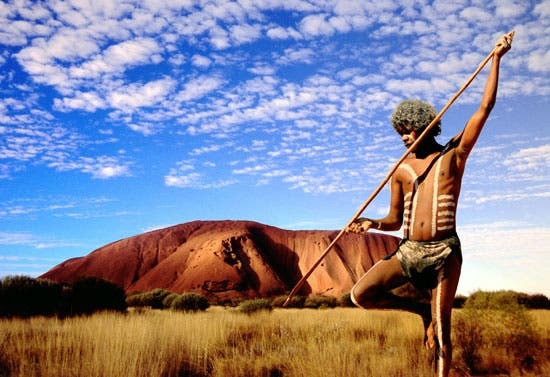 The discovery supports oral histories passed down through Australian aboriginal cultures for millennia. Many of that hinted that people have lived in Australia for much longer than scientists have previously believed. 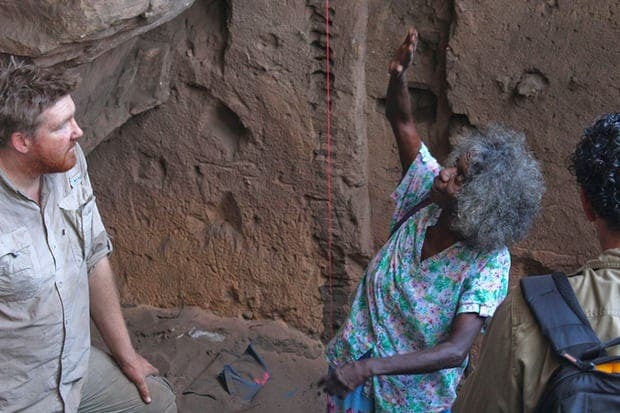 “We’d like to tell people we were here long enough – tell all the Balanda [non-Indigenous people] about the stories, that people were here a long time,” Mirarr traditional owner May Nango said. More than 10,000 artifacts were uncovered in the “zone of first occupation”, including ochre and reflective paint substances, as well as the oldest unbroken ground-edge stone axes in the world, by about 20,000 years, and the oldest known seed-grinding tools in Australia.